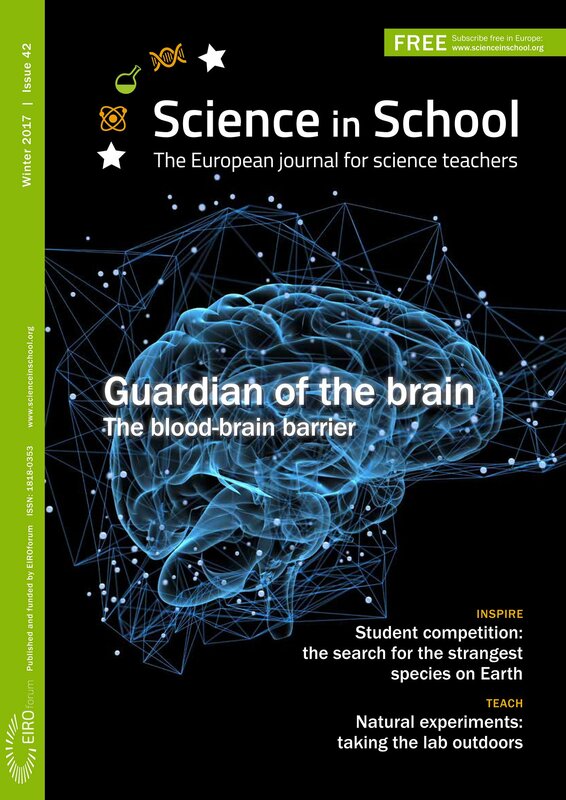 The latest issue of the free magazine Science in School is now available online and in printed form. This European journal for science teachers offers up-to-date information on cutting-edge science, teaching materials and projects in science education, interviews with inspiring scientists and teachers, reviews of books and other resources, and many other useful resources for science teachers. It aims to promote science teaching by encouraging communication between teachers, scientists and everyone else involved in European science education. Some of the highlights of this issue include: an insight into the blood-brain barrier; an article about how we can track pathogen changes at the genetic level; and ten things you might not know about antimatter. Practical classroom activities include a series of Earth science activities exploring the constituents of soil, as well as molecular detective activities on mushrooms and other plants and fungi. Science in School is published by EIROforum, a collaboration between eight European intergovernmental scientific research organisations, of which ESO is a member. The journal addresses science teaching both across Europe and across disciplines, highlighting the best in teaching and cutting-edge research. Article submissions for future issues are welcomed, whether from researchers giving a deeper understanding of a specific scientific topic or from teachers or other science educators describing innovative activities to introduce modern science into the classroom. You can read the guidelines for submissions here. Numerous articles, as well as their translated versions in many European languages, can be found online. If you would like to volunteer to translate Science in School articles into your own language for publication online, please see the guidelines on the Science in School website.